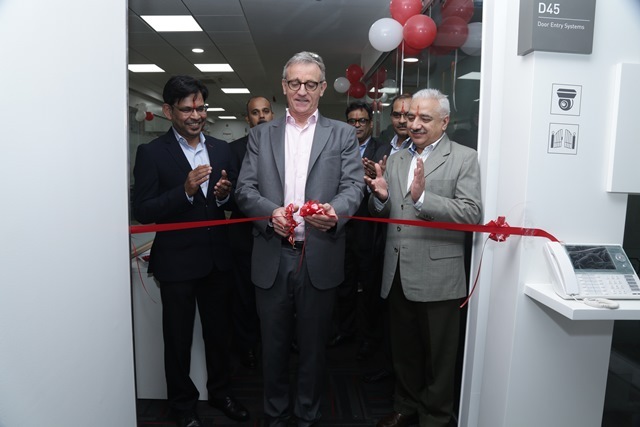 Legrand India, a global leader in electrical and digital building infrastructure inaugurated their first voice enabled state-of-the-art experience centre Innoval in the tech city Bangalore. Innoval will host Legrand Group India’s company products – Legrand, Numeric & Valrack. Globally Innoval’s are present at France, Greece, Chile, Brazil, Colombia, Dubai, and made its first-time entry in the Asia Pacific region with its launch in Mumbai, India followed by its successful launch in Ahmedabad, Lucknow. The company is now all set to amaze the Bangalore market with its voice enabled experiential centre launch today. This is the first such showroom in India to be fully automated and voice controlled. Innoval is Legrand’s global brand of product showcases. The name Innoval reflects Legrand’s brand value of developing ranges of innovative products (Valley of Innovation). The narrative at Innoval is based on the concept of ‘Source to End Usage’, where the products are arranged in relation to each other and according to where they fall on the energy and data distribution grid. The IoT enabled product offerings across multiple categories include- IOT switches, Wireless Speakers, Assisted Living, Customised Hospitality Solutions, IOT based Energy Monitoring, Data Centre Monitoring System, Intelligent PDUs etc. The products are compatible with popular third-party voice-controlled devices available in market like Google Home and Alexa along with their own mobile applications and touch panels. Keeping in mind the vastly different profiles of visitors, the products are arranged as per the business verticals, namely - Home Automation, User Interface, Energy Distribution, Structured Cabling, UPS and Cable Management. The design approach is based on the concept of Designeering. It has all the technicalities of engineering, but put forth in an intuitive and easy to understand communication system. With the interactive product displays, fully automated experience, educational infographics and clean minimal visual language, Innoval has been designed to provide its visitors with a hands on experience that can help them make an informed choice. Innoval is also built from the perspective of providing training for all players in the electrical trade, from investors to installers. Legrand has been known industry wise for its innovation, value adds to solutions, and in helping these professionals adapt to a constantly changing business. The purpose of Innoval, is to support all of these partners (investors, system integrator, architects, panel builder, end customer etc.) by helping them to acquire new skills in order to better understand the market. Innoval also seeks to engage with direct consumers wanting to experience the brand before making a purchase decision. With the new generation becoming decision makers, the demand for products with innovation, technology has increased, and Legrand wants to tap this growing user base.